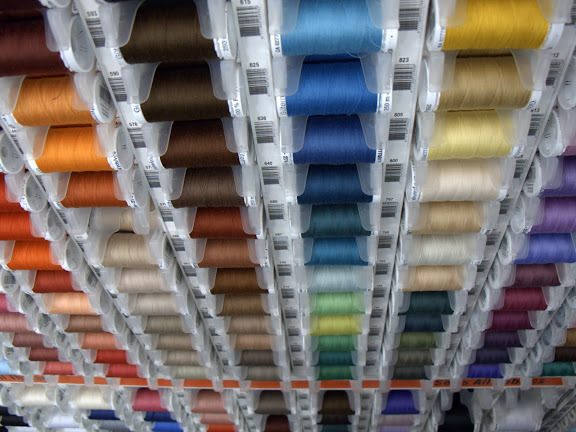 - Mood Fabrics on 37th Street in NYC's fashion District is a sight to see. As fans of the TV show Project Runway, we just had to stop by and check it out. This is one of many displays of thread. Canon G11, 1/30 sec @ f/2.8, ISO 400 in macro mode.